The Jist: Beautiful, vivid, colorful. 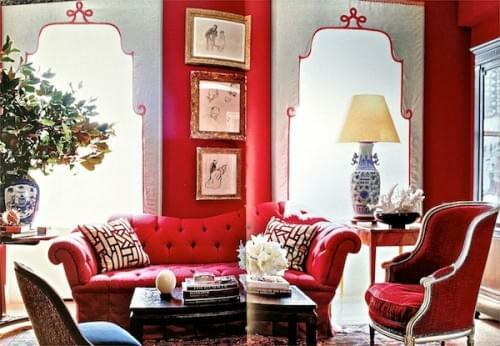 This book is bright, luxurious and slightly over the top. 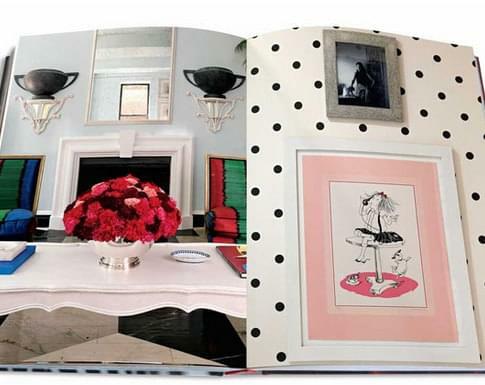 There is a brief introduction from Miles Redd himself, an Atlanta-born, New York-based interior designer who has worked for John Roselli, Bunny Williams and in 2003 became the Creative Director of Oscar de la Renta home. There is no commentary from Redd besides a brief introduction, only vivid photographs and a few quotes from famous personalities. The quotes are not necessarily about design, either, there's one from Willy Wonka and another from Karl Lagerfeld, and just about everyone in between. Truly, your never quite sure what you are looking at on the page, it's sort of like being in some crazy interior design dream. Redd describes his signature style as "cozy glamour" and that's accurate. 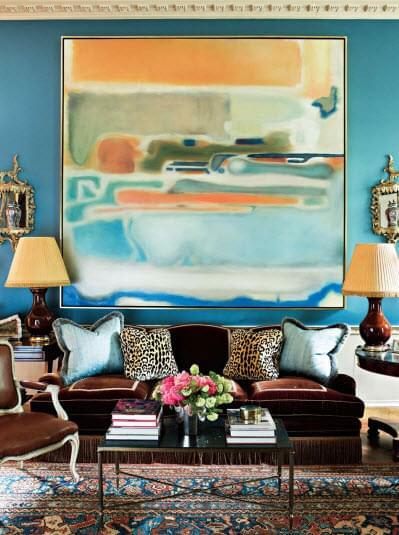 While his rooms are lavish, glitzy and bright, there is something comfortable about them, I wouldn't mind an afternoon lounging in any of his creations. 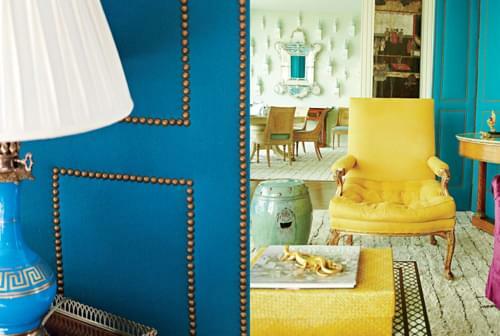 Biggest Takeaway: Make at least one thing in your house bright, bold or unexpected. Or, paint something glossy and dark, like these cabinets above, or a door to a powder room. There is nothing subtle about this book, except maybe the cover. 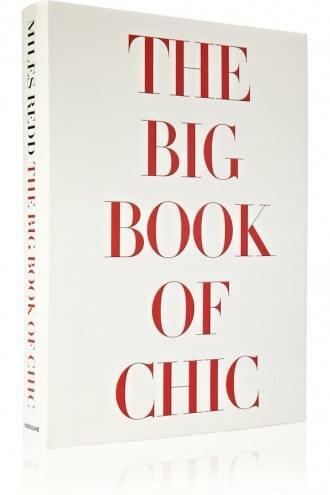 Because of the weight, quality of the paper, and the vivid full-bleed photographs on each page, this book would make a fantastic gift for anyone chic in your life. It feels special. Get it here.